While Chris Cornell may be best known for his work in Seattle grunge band Soundgarden, many fans loved his work in Audioslave, which featured Cornell singing alongside several members of Rage Against the Machine. Now, the surviving members of Audioslave — Tom Morello, Tim Commerford and Brad Wilk — have posted a performance of their 2003 song “Like a Stone” to pay tribute to Cornell. 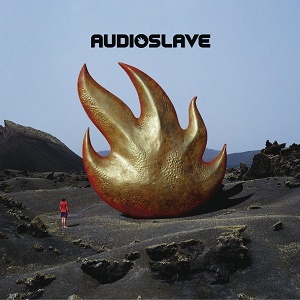 The track appears on Audioslave’s debut album. The guys filmed the performance during a recent Prophets of Rage rehearsal, and turntablist DJ Lord posted the footage on Facebook. Watch the clip below. Audioslave got together in the early 2000s and released three albums between 2002 and 2006. They parted ways in 2007 but reunited earlier this year to perform a protest show in Los Angeles on Inauguration Day. In other news, Prophets of Rage are scheduled to headline the 2017 Louder Than Life festival, along with Ozzy Osbourne, Prophets of Rage, Incubus, Rob Zombie and Five Finger Death Punch. Louder Than Life is set for Sept. 30 and Oct. 1 in Louisville, Kentucky. Prophets of Rage will perform on Oct. 1.